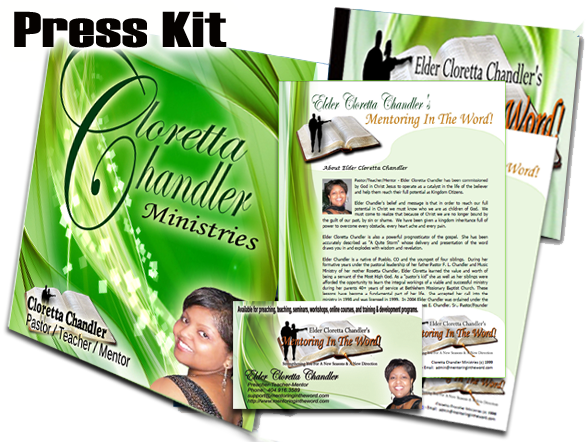 Elder Cloretta Chandler has been commissioned by God in Christ Jesus to operate as a catalyst in the life of the believer. Elder Chandler’s belief and message is that in order to reach our full potential in Christ we must know who we are as children of God. We must come to realize that because of Christ we are no longer bound by the guilt of our past, by sin or shame. We have been given a kingdom inheritance full of power to overcome every obstacle, every heart ache and every pain. "Voice of Influence". She has been accurately described as “A Quite Storm” whose delivery and presentation of the word draws you in and explodes with wisdom, knowledge and revelation. Elder Chandler is a native of Pueblo, Colorado and received Christ as her Lord and Savior at the tender age if eight. While under the pastoral leadership of her late father and mother Pastor F.L. & Lady Rosetta Chandler, she learned the value and worth of being a servant of the Most High God and joint heir with Christ. 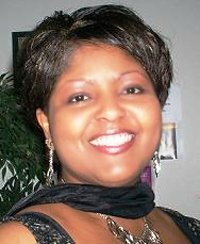 Elder Chandler accepted her call into the ministry in 1998, was licensed in 1999 and ordained in 2004. All under the leadership of her brother, pastor, and mentor Overseer James E. Chandler, Sr. pastor of the Marvelous Light Christian Ministries where she currently serves as the Christian Education Director. "My desire is to see all believers "Live Out Loud!" the Kingdom inheritance we have been given through the Word of God."